Have you heard of the Young Farmers and Ranchers (YF&R)? Home / Blogs / Have you heard of the Young Farmers and Ranchers (YF&R)? 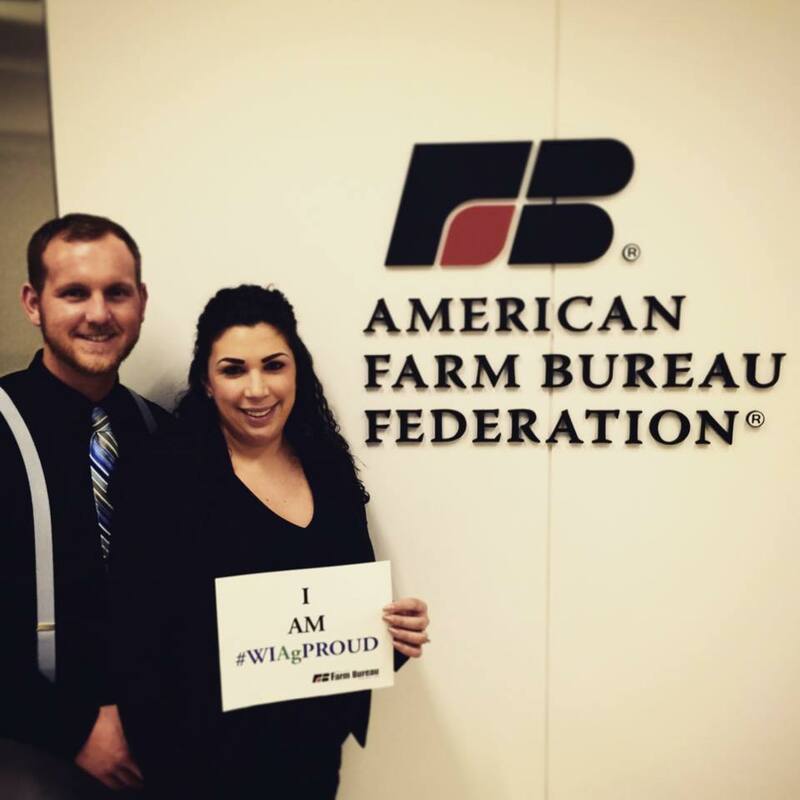 The Young Farmer and Agriculturist Program is the Wisconsin Farm Bureau’s program for members 18-35. We have a committee to lead the program which is made up of nine individuals (or couples), one per district, serving for a three-year period. Our state program has correspondence with the American Farm Bureau’s (AFBF) program that is very similar structure called Young Farmers and Ranchers (YF&R). We are proud to represent Wisconsin on the American Farm Bureau YF&R Committee. Last fall, we had submitted an application to be considered for the two-year term on the national committee. Recently, we received the nomination from AFBF President, Bob Stallman and an assignment to represent Wisconsin, Michigan and Maine. As we begin our term, we would like to introduce you to the YF&R program, our role with the committee and some of our goals. The purpose of the YF&R Committee is to give young farmers and ranchers the opportunity to recommend programs and activities that will encourage new membership, boost program participation, and secure the future of the organization. Our role on the committee is to provide leadership opportunities for young leaders across the United States AND be a strong advocate for agriculture. For the next two years, we pledge to uphold the values of AFBF, project a positive image for all agriculture, develop relationships with our community and elected officials to keep our core topics a regular part of the public discussion. In addition to these responsibilities, we must partake in one of four subcommittees which include; Annual Convention, Discussion Meet, Leadership Conference, and Promotions. Danielle will be serving on the Leadership Conference Subcommittee and Tim has chosen to serve on the Discussion Meet Subcommittee. We’ll share more on these roles in the future. 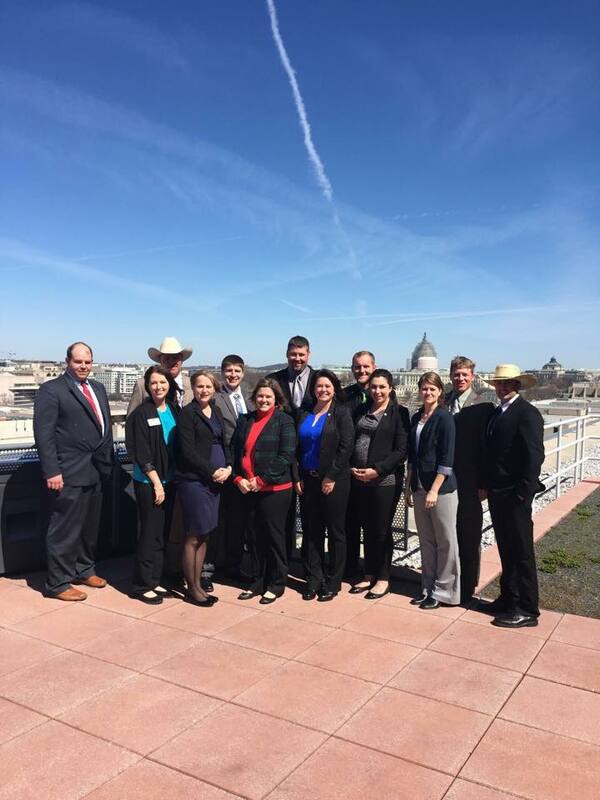 Last week, we participated in the orientation at the AFBF headquarters in Washington DC. We met the other outstanding new committee members, staff members, and AFBF leaders who will help us along the way. While our time may be brief on the committee, we set forth a few ‘big-picture’ goals for our term. 1) To UPHOLD the values of the AFBF Bylaws and Memorandum of Agreement during our time on the YF&R Committee. 2) To ENGAGE discussion and promotion of young farmer and rancher initiatives that are important to our members. 3) To EDUCATE members and non-members about the opportunities within the AFBF organization. 4) To PROMOTE American agriculture through our representation on a national committee. Finally, we take this opportunity with the AFBF with a great deal of responsibility. It’s a pleasure to represent and serve the great young leaders in our state! Please let us know how we can help you and we look forward to networking with each of you in the near future.